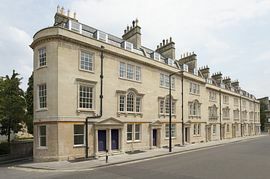 These beautiful new apartments are perfectly located in the heart of historic Bath close to the Theatre Royal. An entire Georgian terrace has been restored to create a selection of individually designed studios and one and two bedroom apartments. These stylish apartments are furnished with contemporary Italian designer furniture, fully equipped kitchens, spacious living/dining area and bedrooms with king size beds and bathrooms with power shower. 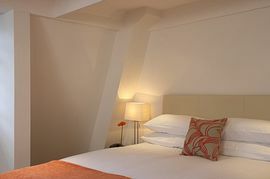 The apartments are superbly located in the centre of Bath, only a 2 minute walk from the Theatre Royal and a short stroll from the Roman Baths, Bath Abbey, Pulteney Bridge and the new Thermae Spa. The museums, fabulous shops and restaurants of historic Bath are all within easy walking distance. The cinemas and restaurants at Kingsmead are only a 2-minute walk. Bath Rugby Club is only a 5 minute walk. Bristol International Airport is only 15 miles away. Taxis from the airport to Bath city centre take approximately 45 minutes and cost approximately £35. Bath Spa train station is only a 3-minute walk from the apartments and the train to London Paddington takes just 1 hour, 30 minutes. There is a bus stop outside the property and buses run to all parts of the city. The main bus station is only a 3-minute walk. Bradford-upon-Avon, Corsham and Keynsham are only a 15 minute drive. 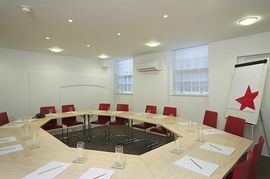 Less than a five minute walk from Bath Spa Train Station with convenient links to London, Bristol and the South West. Just a short stroll from The fantastic Thermae Bath Spa, Roman Baths, Theatre Royal and Pultney Bridge. Directions will be give upon confirmation booking. 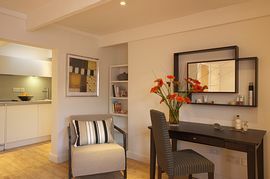 Studio apartments from £59.00 - £145.00. One bedroom apartments from £120.00 - £195.00. 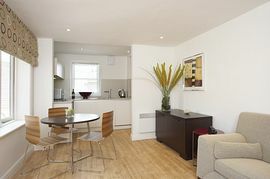 Two bedroom apartments from £200.00 - £260.00.